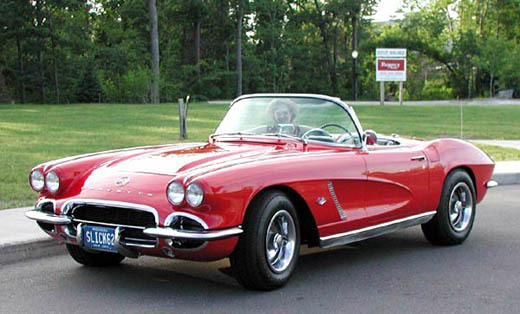 In 1962, two-tone paint were no longer avaliable on the Corvette. The 1962 were the last model with a conventional trunk until the 1998 convertible, and the last model with a solid rear axle. Engine increased to 327 CID and the Powerglide transmission came with a aluminum case to save weight.